Meet Chuck Miller. He’s will have been with Kalas for 40 years this October. Chuck currently works at Kalas Plant 2 in shipping where he has been for over 39 years of his employment. When he began his career at Kalas, the company operated out of one single building. His original assignment was in battery cable assembly for our Engineered Cable Products Division. After a short 6 months he was able to transition into shipping and truck driving. 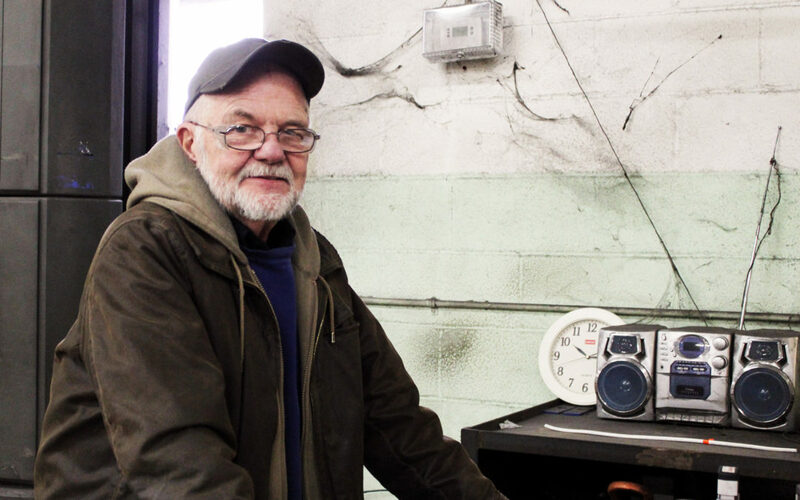 39 years later, Chuck is nearly an expert in all shipping and driving processes at Kalas. He has the rich history of living through all of the shipping department changes our company has made as it has expanded and technology has increased over time. In the beginning, Chuck drove truck making local deliveries. His truck driving quickly grew in distance as the companies orders expanded. For many years he would travel for distant deliveries which could be completed within a day’s work covering much of our state, NY and Maryland. He still remembers how everything had to be lifted in and out of the trucks using hand carts before we transitioned to using forklifts! That meant lifting and unloading large orders of cable reels all on his own. Truck driving and preparing shipments took a lot of physical strength 40 years ago. Forklifts aside, Chuck would say the biggest change he’s experienced over his time was the plant additions. Having started when Kalas was housed out of Plant 1 and making local deliveries, he has seen our company expand to it’s current state of four local facilities, one value-add warehouse on the west coast, several distribution centers throughout the country and shipments being made daily around the world. Despite the changes, Chuck’s favorite part of his job hasn’t changed. He says it’s “working with the guys”. Some of his favorite memories include Kalas Christmas parties, company picnics and even the day to day moments where he gets to enjoy the people he works with. It’s a privilege to have associates like Chuck working at Kalas for so long. We are grateful for his embracing various roles over the years, adapting to so many company changes, working hard while also caring about the people and company culture around him. Join us in thanking Chuck and celebrating his history with Kalas!